Voice of Asia Media Network had a relaunch of its operations last week. Titled ‘Siyatha Parinamaya,’ the relaunch included Siyatha FM, Siyatha TV, Warnam FM, Warnam TV, Real TV, Real Radio, Kiss TV and Kiss FM. The event was attended by senior politicians, artists and business leaders. The Chief Guest was Minister of Mass Media and Parliamentary Reform Gayantha Karunatilake. 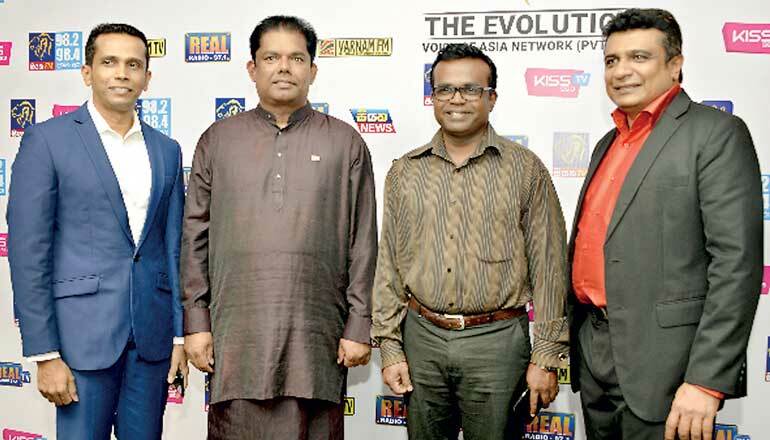 The Deputy Minister for Media Karu Paranavithana, Voice of Asia Network Chairman Roshantha Kariyapperuma and Director Priyantha Kariyapperuma were also present.